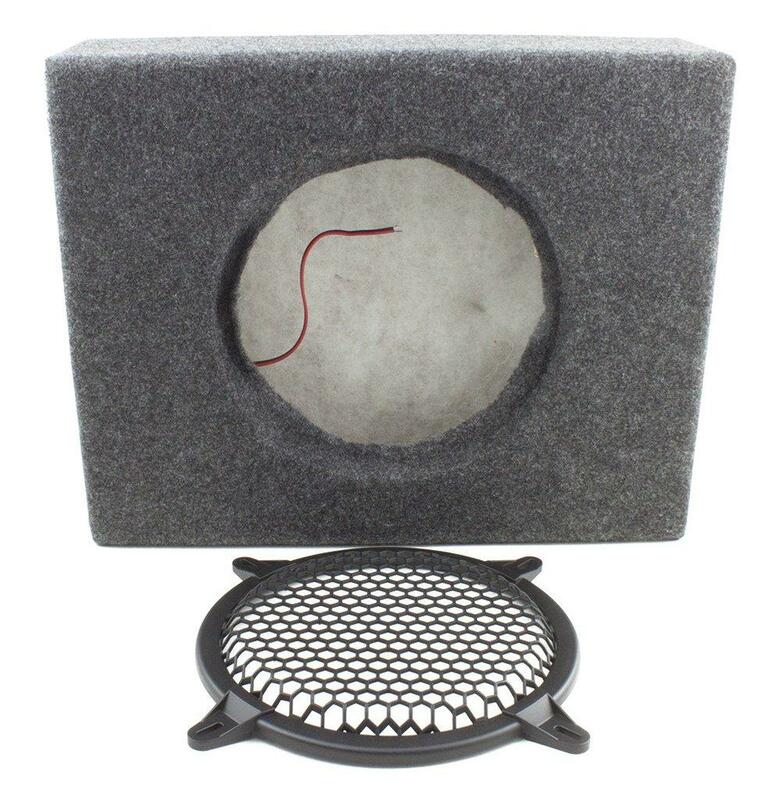 The RetroSound® R-TWENCL sealed MDF enclosure is designed for a shallow mount 8-inch woofer. This enclosure measures just15x12x3 inches, for an internal air volume of .312 cubic feet. This is an optimum size for the RetroSound R-TW series subwoofer and is also perfect for installing into vehicles with limited space. The enclosure is finished in attractive charcoal carpet and includes deluxe push terminals and an eight-inch speaker grill. This listing is for a single enclosure.